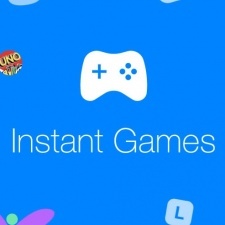 Facebook is set to enable in-app purchases on Instant Games in a move that could make it a significant platform for developers. But it comes with some caveats. Six months ago the social networking giant announced that it was testing IAPs in select games. In that time it has rolled out ads-based monetisation. Then in March Facebook opened up Instant Games for all developers to release titles on, but they could only monetise through the latter business model. In-app purchases are finally set to be enabled for developers from May 7th however on Android and through the Facebook website itself. The revenue share for web versions of Instant Games through the Facebook website will be the typical 70/30 split in favour of the developer. Purchases made on Android devices though will see Google Play take its 30 per cent split and then Facebook taking a 30 per cent split of what’s left. That means developers effectively get a 49 per cent share of IAP revenue through Instant Games on Google Play. Facebook noted it will “continue to evaluate” the revenue share model. There was no specific mention of in-app purchases being enabled on iOS devices though the company did say it was "exploring monetisation options on other platforms". Google taking its regular cut and iOS's current notable absence appears to show a reticence by platform holders to cut down their typical revenue share terms to support what would effectively be a rival platform. Developers can access documentation on in-app purchases ahead of their launch on Instant Games here. A 51% cut off the top is pretty hard to swallow. A lot of small and medium sized developers are going to be taking a pass on that.